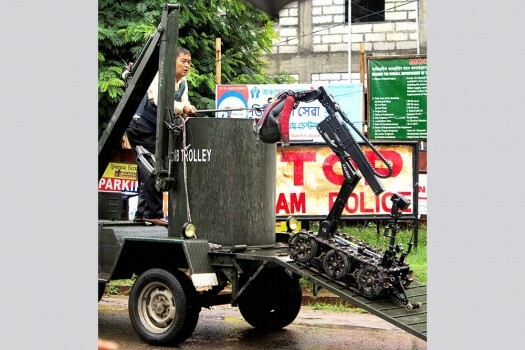 A bomb disposal robot carries a low intensity bomb, which was found in a bus, in Guwahati. A vintage 1,000-pound bomb from World War II has been retrieved during the dredging operations at the Netaji Subhas Dock of the Kolkata Port Trust (KoPT). A co-passenger saw him covering his face with a handkerchief and keying in a message about terrorists over a messaging app (Snapchat). The Federal Bureau of Investigation (FBI) has arrested a man from Arizona for demonstrating how to build a bomb and teaching others how to do so. A law enforcement official said the envelope and printed address labels were similar to those on explosives sent to former President Barack Obama, former Secretary of State Hillary Clinton and others. The device was discovered early on Wednesday morning at the Clinton's home in Chappaqua, New York. 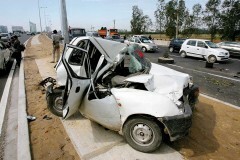 Thrissur District Police chief Yatish Chandra said the accused, Jayaraman, was picked up after his mobile phone was tracked down.